(TibetanReview.net, Apr30, 2016) – The communist party government of China may be atheist, but claims to know better than a religious person who is a genuine Tibetan Buddhist master and has published biographical details on a total of 1,311 ‘living Buddhas’ in the Chinese mainland. The purpose, reported the official Xinhua news agency Apr 28, is to “help followers check their authenticity”. The report said the officially established and controlled Buddhist Association of China (BAC) had published in Jan 2016 details of 870 individuals it recognized as ‘reincarnated Buddhas’ and that the biographies of another 441 ‘living buddhas’ were published on Apr 28. The reason, the report said was that a growing number of frauds were trying to cheat people out of money. The report said the biographies were accessible at: www.chinabuddhism.com.cn, ww.sara.gov.cn and www.tibet.cn. The seventh Drukhang living buddha Drukhang Thubten Khedrup, vice president of the BAC, has claimed that the measure had safeguarded the rights and interests of Tibetan Buddhists and also increased public understanding about ‘living buddhas’. 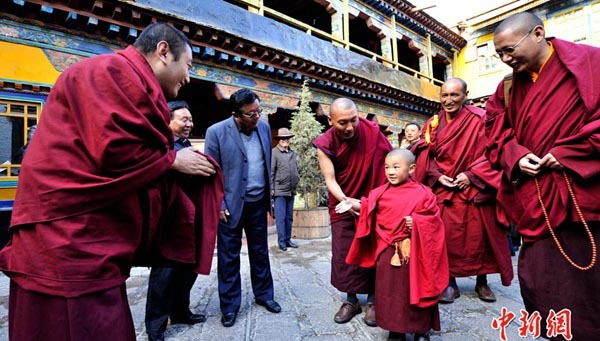 The report said the latest group of 441 verified ‘living buddhas’ were largely from Sichuan Province, while the first 870 were from Tibet, Yunnan, Gansu, Qinghai, Inner Mongolia, Xinjiang and Liaoning. There had been allegations before that officials, including at the nationally top-level, had been accepting bribes to accord recognitions of ‘living Buddhas’. China does not know that these appointed Tulkus, in the long run will manifest themselves in a role contrary to their wish and serve the cause of Tibet and Dharma. This is the Essenes of true reincarnation. Just watch.